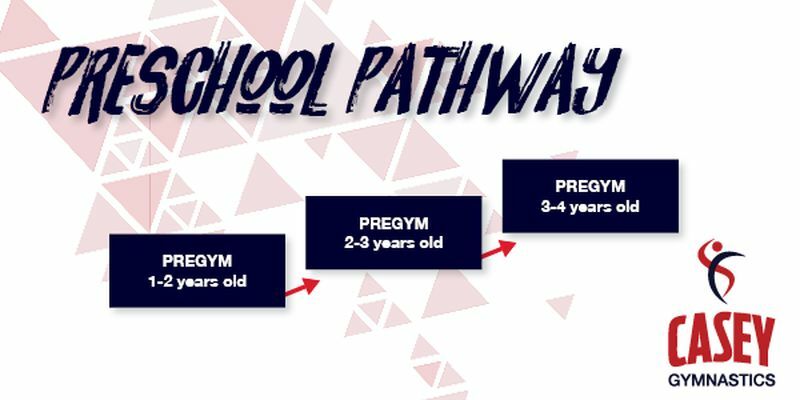 PreGym is a 45 minute, parent assisted - structured program which also incorporates some exploratory play. Themes accompany the program to make the learning experience even more enjoyable. 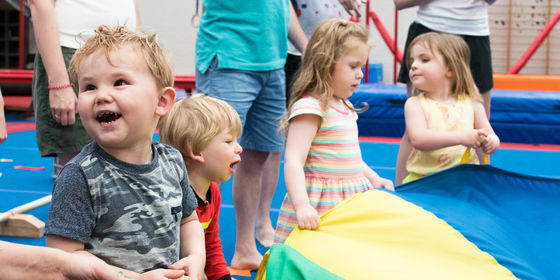 Equipment specific to preschool gymnastics and modified Olympic apparatus are used in each session. Children learn through repetition therefore, a similar layout and class format is used for two weeks to consolidate skills. Each fortnight, different apparatus and circuits are set up to ensure that children are stimulated by a variety of sources on a regular basis. The program is carefully designed by all instructors to ensure that motor, cognitive, social and emotional learning occurs in an enjoyable way. All classes aim to develop basic co-ordination, balance, spatial and body awareness in an environment that promotes socialisation.